Do you work for your software? Business nowadays is inextricably linked to information systems that manage everything. Software systems make everything possible, automating the simplest of tasks. This makes things easier right? Due to a technical error, we are not able to notify you by email that your monthly account statement is available online. That is why we are sending you a paper version by regular mail. Our apologies for the inconvenience. You do not need to take any action. Next month, you will receive an email again to notify you that your monthly account statement is online. If I understood it correctly, which I’m sure I did, I am getting a document by mail (~€1,20 postage) to say that since AmEx was unable to notify me of the availability of my statement online by e-mail, they are sending the whole statement by regular mail. The statement was still available online, they just couldn’t tell me about it. I wonder, was it easier to send thousands of actual letters than pressing another send button in the software to send the e-mails? Clearly something is wrong there? Somehow an error in calculation meant that I need to get €0.23 credited. They sent me a regular mail letter to inform me of this, rather than an e-mail like my normal invoices from Vodafone. When I asked the service agent about it, the reply was something like “It would cost a lot of money to adapt the software to enable that.” Doesn’t that sound odd? So why do huge companies like AmEx and Vodafone get it wrong? Do they buy the wrong software? Probably not. Do they hire cheap implementers? I don’t think so. The problem probably arises in the implementation step. Management often needs to show quick progress when implementing new software, causing them to rush through “less important” parts of the project. 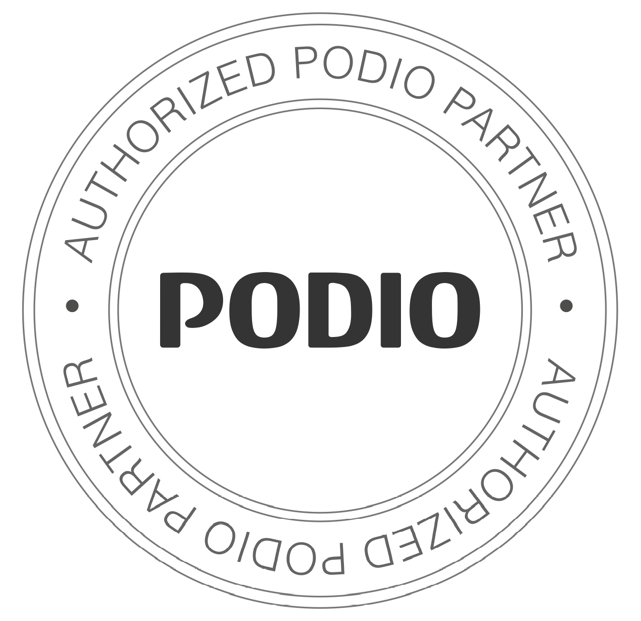 I recently became an Authorised Partner of Podio, an online collaboration and team-work tool. When implementing Podio, one of the most important first steps is a full inventorisation of the business processes in a business. Only once you have those clear can you implement a solution adequately. And that’s the beaty of Podio (with the motto “Work they way you want to”); it can be adapted to fit the needs of the organisation, with the ability to easily create the apps you need to support your existing business processes. Interested in taking a look at Podio and seeing what it can mean for your organisation? Contact me, and we’ll see what the possibilities are!